The wave of digital transformation has also hit the maritime industry. To strengthen their position in international competition, European shipbuilders, suppliers and partners must better integrate their internal and cross-company business processes. The use of digital technologies plays a key role here. As a manufacturer-independent pilot, PROSTEP puts companies in the maritime industry on the right digitization path. Our shipbuilding experts advise and support you in setting up a digital ship model and digitizing your business processes and information flows throughout their entire life cycle. Integration of the various IT systems used in the shipbuilding industry provides the basis for digital business processes. All the leading CAD and PDM/PLM systems and many of the relevant specialized shipbuilding applications like AVEVA Marine, CADMATIC and NAPA can be quickly connected to PROSTEP's standards-based data hub. It forms the centerpiece of a digital platform that provides transparency regarding changes made over time to the digital ship model in the context of configuration lifecycle management (CLM) and supports cross-company collaboration. The digital platform forms the basis for ensuring end-to-end digitalization, i.e. the end-to-end use of digital information objects. PROSTEP uses a standardized analysis method to determine which information objects are required at which point by which process, who will deliver them, and where transfers are hindered by media discontinuities. The results of the analysis can be used to directly define measures for improving the digital flow of information, which can be implemented using the standardized CAD conversion tools and functions that are part of the digital platform. PROSTEP develops and implements solutions for digitalizing business processes on the basis of the results of the information flow analysis. Solutions that can easily be adapted for use in the shipbuilding industry already exist for drawing-free manufacturing, 3D assembly planning and the creation of electronic spare parts catalogs. They can be used, for example, to automatically provide 3D design models together with the business logic for the planning of construction sequences, quality assurance, and other downstream processes. The objective of digitalization in the shipbuilding industry is to develop an end-to-end digital product model that reflects the exact construction status of a vessel across all the phases of its lifecycle. This digital master, which is subsequently used to create digital twins of the delivered product, is essentially the driving force behind digital transformation. PROSTEP not only provides companies in the maritime industry with support when creating digital ship models but also when transferring digital information to ship operators and developing new value-added services and service-oriented business models. 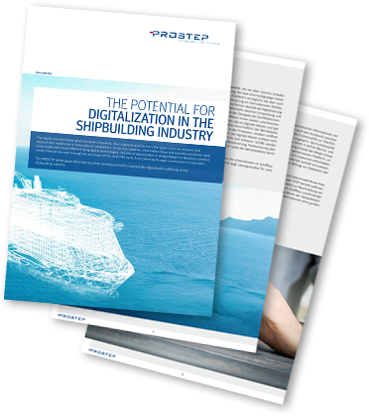 PROSTEP is your full-service provider when it comes to digitalization and digital transformation in shipbuilding. Our PLM experts not only provide you with advice but also with support when it comes to implementing their recommendations. We offer you everything from a single source - from PLM strategy consulting to the digitalization and optimization of your PLM processes to integration of your partners and suppliers. PROSTEP is one of the leading specialists for digitalization. We help companies in the maritime industry to better understand the challenges of digital transformation and make the right decisions when it comes to digitalizing their business processes and models. We provide customers with support when it comes to defining a sustainable PLM strategy and the PLM infrastructure best suited to their process and product complexity. We also take account of the PLM landscapes at comparable companies in the shipbuilding industry and other industries, among other things. Our PLM experts not only help you select appropriate PLM tools and systems but also mediate negotiations with PLM system vendors. We pay particular attention to the openness of the solutions as laid down in the Code of PLM Openness (CPO). We help companies analyze, harmonize and optimize their company-wide and cross-company processes and identify bottlenecks in the information flows, which are subsequently eliminated within the framework of improving PLM processes. One of PROSTEP's core competencies is harmonizing and optimizing classic PLM processes such as version management, release management and change management. Thanks to our many years of project experience, we are also able to provide suggestions for establishing better links between engineering processes and PLM processes. We help our customers improve cross-departmental processes at the interface between development, procurement and manufacturing, where media discontinuities and incompatible formats often lead to disruptions in the flows of digital information. Our PLM experts take care of improving concurrent processes such as creating and maintaining material master data, the standardization of which is in many cases a prerequisite for synchronizing engineering data across system and company boundaries. When developing solutions for CAD conversion and system integration, we also help improve processes by automating the underlying processes for data conversion, quality control and data exchange. PROSTEP is the leading specialist for CAD conversion and system integration and one of the few providers that fully understands not only all the leading mechanical CAD and PDM systems but also specialized shipbuilding applications. Our integration solutions transform heterogeneous system landscapes into digital platforms. We connect specialized shipbuilding applications like NAPA, AVEVA Marine or CADMATIC horizontally with each other and with other CAx systems, regardless of whether they are used successively in the different phases of ship development or in parallel in different disciplines. We integrate the specialized shipbuilding applications and their database-supported management systems vertically in cross-company PDM/PLM systems such as Aras, ENOVIA or Teamcenter, thus ensuring that the product data can be managed consistently and used throughout the processes. We bridge the gap in the process chain between development and manufacturing by integrating PDM, ERP and MES (Manufacturing Execution Systems) systems and providing CAD data for downstream processes such as production planning and CNC programming. We lay the foundation for designing paperless processes with the automated derivation of product data and its transfer to application environments based on 3D PDF or HTML5, which can also be used to build digital twins to provide support for the operating phase. We connect the digital platform to the IIoT (Industrial Internet of Things) so that ship operators and classification societies can enrich their digital twins with operating data, monitor the operating status and develop new services like predictive maintenance. 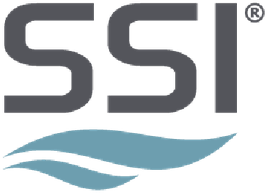 PROSTEP provides customers with support when replacing paper-based and drawing-based business processes, from creating and evaluating requests for quotes (RFQ) to preparing vessel-related documentation for the classification societies through to creating operating and maintenance instructions. We make your manufacturing processes drawing-free and help you transition to the model-based communication of manufacturing information with the help of annotated 3D models, which are provided together with the product manufacturing information (PMI) in 3D PDF containers. 3D PDF technology enables us to provide a common denominator for digital communication between consortium partners, who may be using different CAD systems to design steel and outfitting components and need to regularly synchronize their development statuses. We not only use 3D PDF technology but also web standards like HTML5 to provide digital ship models, thus ensuring that the data can be visualized on mobile devices like tables or 3D lenses and further information can be retrieved online. 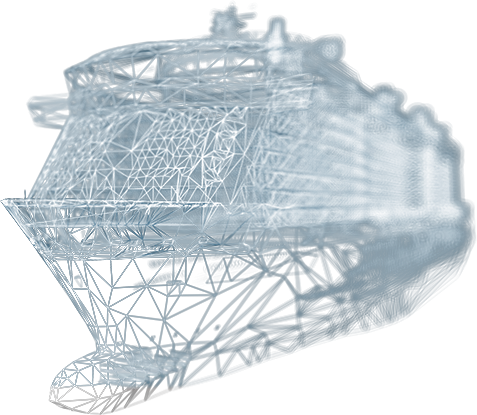 We offer solutions for configuration lifecycle management (CLM) and provision of the delivered ship configuration as a basis for creating digital twins and linking them with operating data in order to simulate and optimize operation of the vessel using computer models. PROSTEP advises and supports shipyards, development partners and suppliers when optimizing their cross-company collaboration processes. We offer them a variety of solutions for the secure distribution of digital ship information and its continuous synchronization. Our PLM-based collaboration platform OpenPDM CCenter is available to consortium partners and customers who handle distributed development projects with changing partners. It can also be hosted in the cloud by us or by an external service provider. Both our data exchange platform and our collaboration platform offer you maximum data security. Your intellectual property is protected using a multi-level rights and role concept as well as modern encryption mechanisms. In addition, access to (3D) PDF documents can be controlled with optional digital rights management (DRM). OpenPDM CCenter also makes it possible to integrate ship operators in the collaboration. PROSTEP's aim is to transfer operating data from the field back to ship development and provide operators with software updates for their outfitting. The use of digital technologies is key to ensuring competitiveness in the shipbuilding industry – both with regard to the efficiency of internal processes and supply chain integration. European shipbuilders began the process of digitalizing their business processes earlier than their competitors in the Far East, but the lead they have built up is shrinking. They therefore need to launch a new digitalization offensive. The MEYER-Group, one of the world's leading builders of cruise ships, has adopted the platform concept to develop and build differently looking ships on a common technical basis. PROSTEP's native CAD conversion was a key factor for the reuse of design data from the MEYER WERFT shipyard in Papenburg at MEYER TURKU's shipyard in Finland. The construction of a cruise ship is an ambitious, large-scale project, during the course of which hundreds of subcontractors have to be coordinated. To make the exchange of CAD data with partners easier and more secure, MEYER WERFT introduced the web-based data exchange platform Open DXM GlobalX and adapted it to the specific requirements of the shipbuilding industry with the help of PROSTEP. Companies in the shipbuilding and offshore industries often use different CAD systems for design engineering in the steel construction and mechanical engineering sectors and need to then exchange the models between these systems. At the CADMATIC User Meeting in Turku, Finland, PROSTEP presented the integration solution between 3DEXPERIENCE (CATIA V6) and CADMATIC, which enables MEYER Group to use their preferred CAD systems in parallel. The end-to-end use of digital information in the shipbuilding industry demands the integration of a large number of different best-of-breed systems, which are used for different tasks and domains. PROSTEP offers a standards-based integration platform for this purpose that facilitates fast connection of all the relevant IT systems. 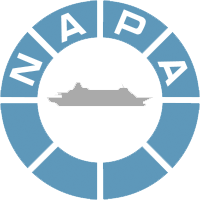 In the future, it will also support the exchange of data between NAPA Steel and AVEVA Marine Hull. Ship classification (class approval) normally involves the exchange of numerous large-format drawings between a shipyard and a classification society. In addition to this, MEYER WERFT in Papenburg will for the first time also be providing the classification company DNV GL with 3D models of a cruise ship. The digital class approval process is based on PROSTEP's 3D PDF technology. 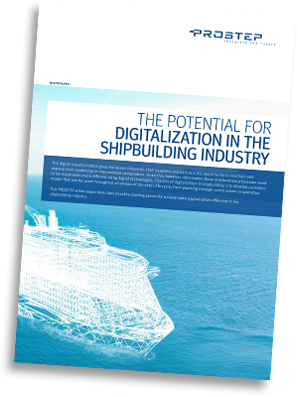 This white paper describes possible starting points for a sustainable digitization offensive in the shipbuilding industry.